Wow. What a great feeling! Super juicy markers on super smooth paper! Watching the ink absorb into the paper as you move the color around is a completely zen moment. 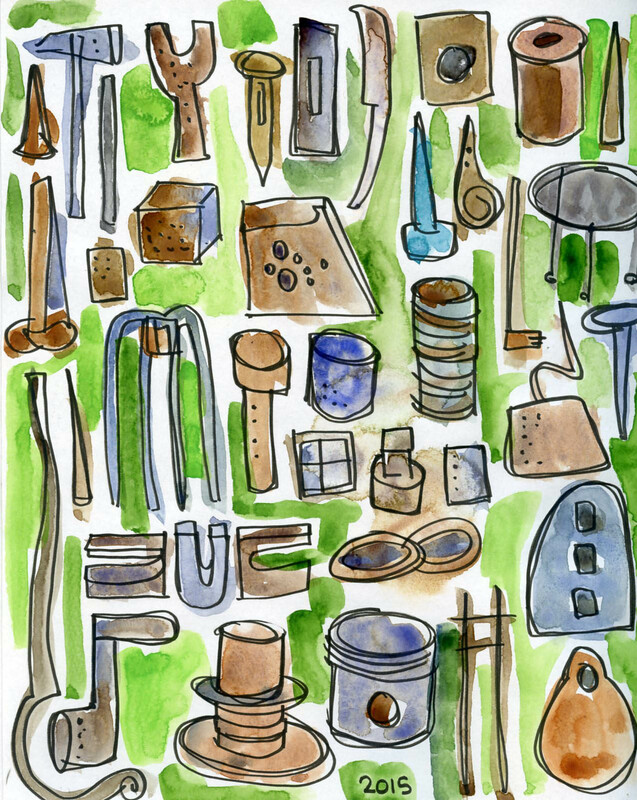 I was recently shopping at the Portland, Oregon art supply shop, Collage, and discovered Copic Sketch markers. The associate mentioned their sketchbook and I was off and drawing! 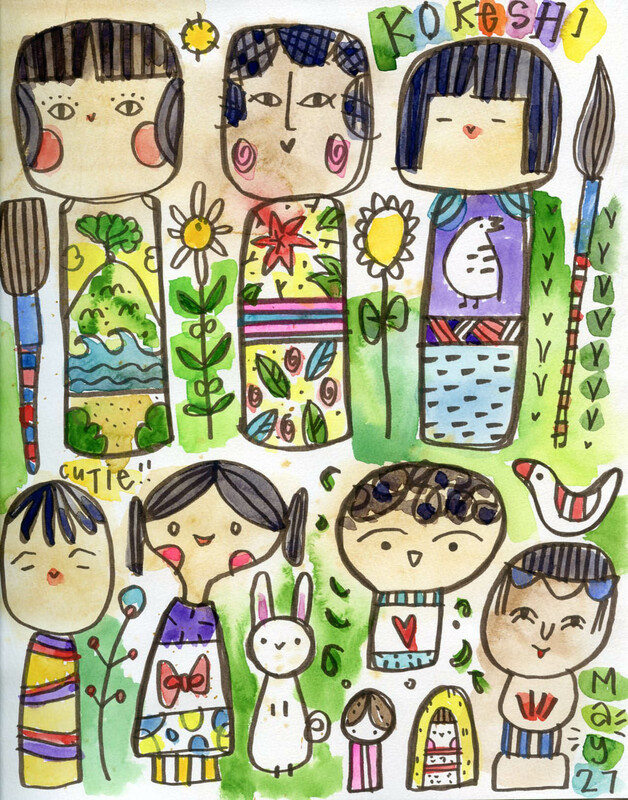 Been over a week now and I can’t stop coloring…..
Just Call Me Kokeshi Kate! 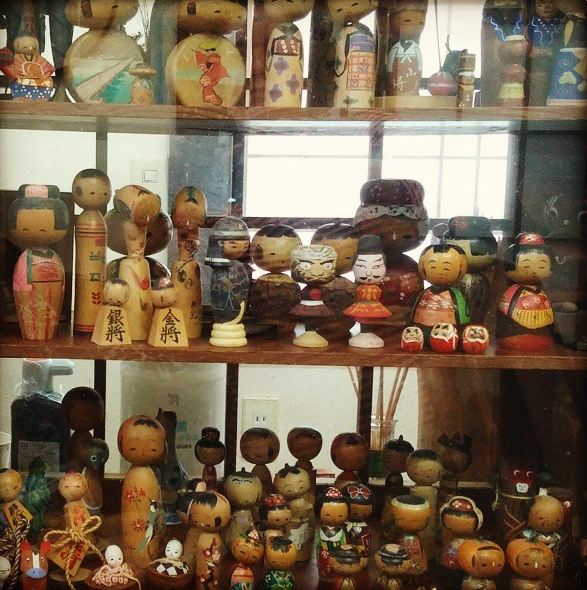 In my first blog entry I mentioned a set of tiny wooden dolls that my Grandma Betty gave me as a gift from her trip to Japan in the 70’s. I moved to Seattle in 1995 and somehow those little dolls made the cross country trip with me. I love perusing junk shops and antique stores and the Northwest has no shortage of great shoppy opportunities. 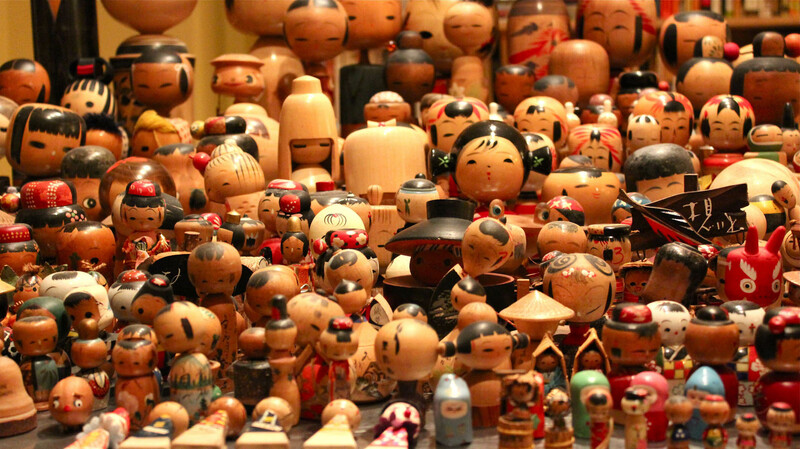 Seattle has a large Japanese population which means lots of Japanese antiques! I began to notice these dolls in the stores; they reminded me of my Fisher-Price wooden dolls. 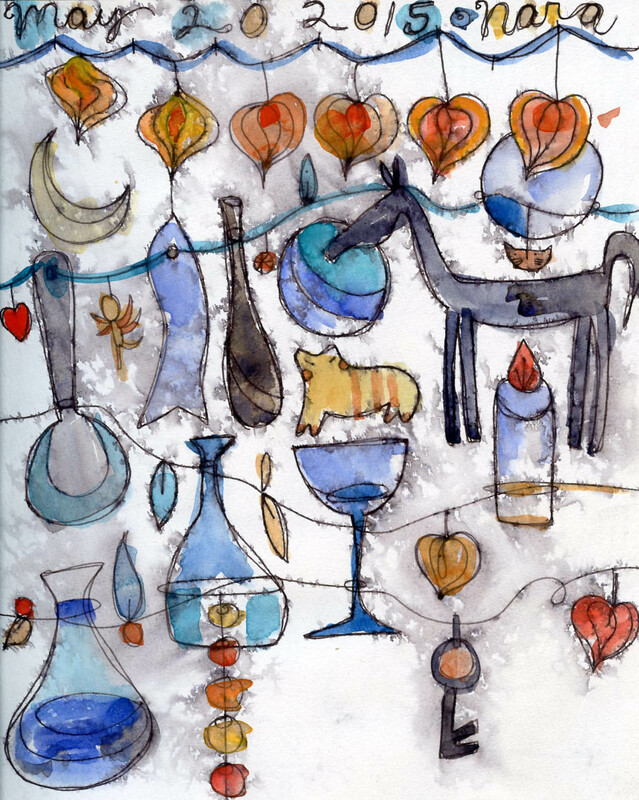 I started to collect this foreign form of folk art in the late 90’s. 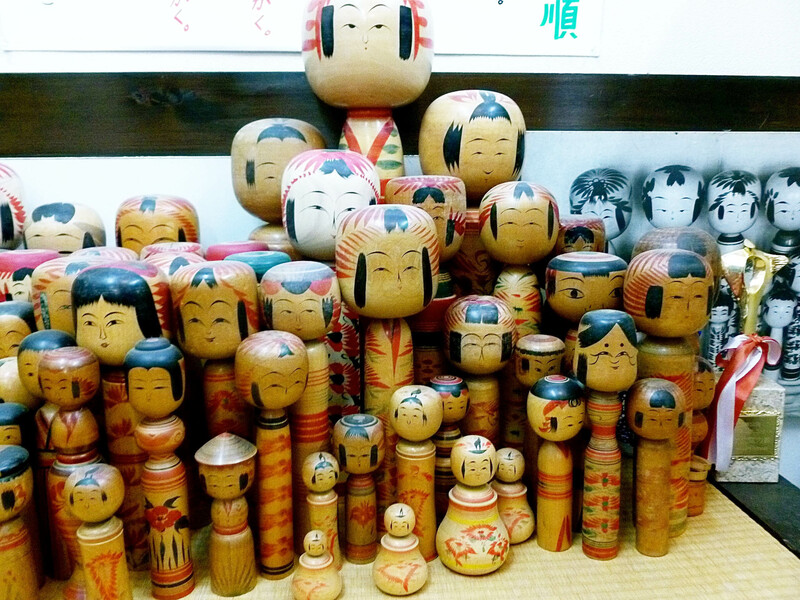 Ebay came along and once I typed, “wooden Japan folk art doll” into the search the world of the kokeshi opened up to me. Fast forward to 2015 and I’m about 500 dolls in and committed to a large collection that has greatly influenced my artwork over the years. 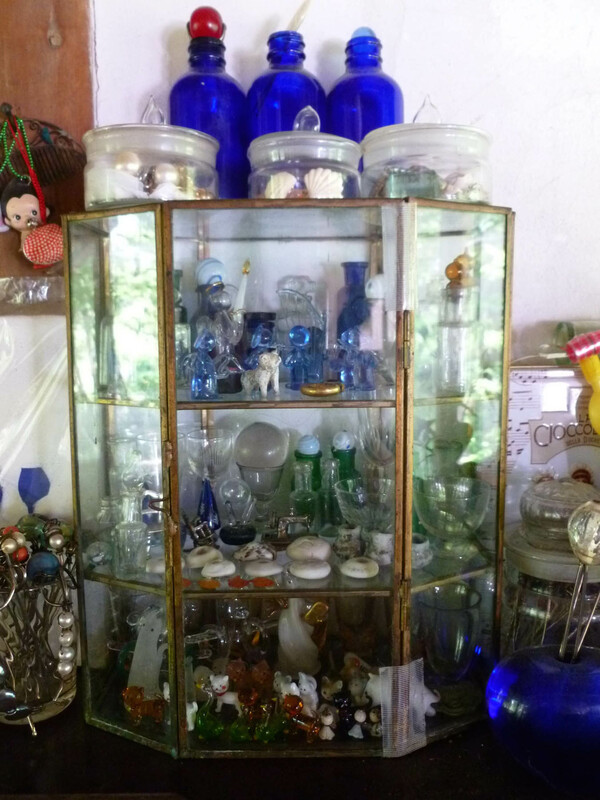 More posts to come about my other collections….PS: I’m on my way to opening up my own museum! 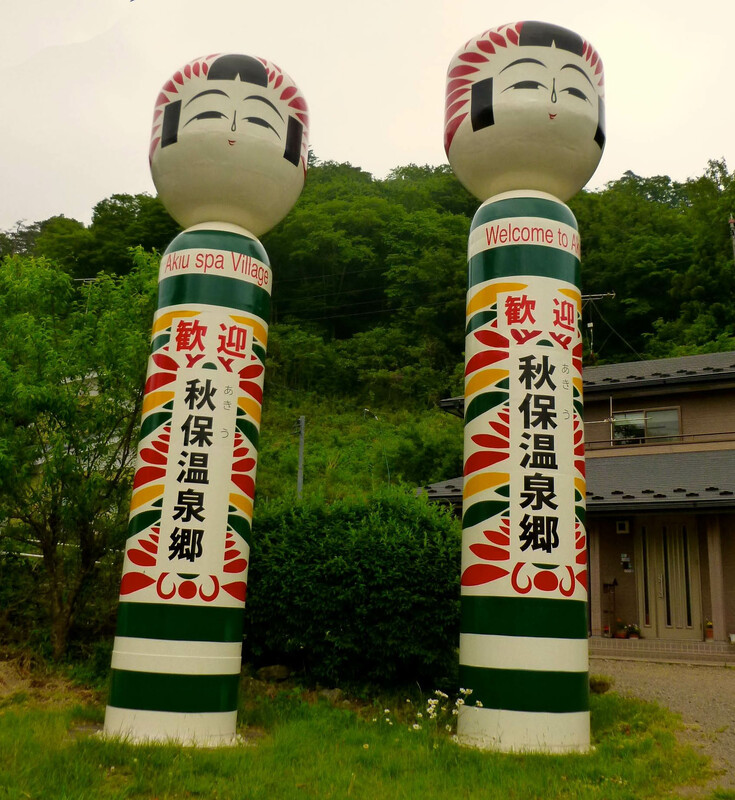 I painted this kokeshi in Sendai, Japan- a highlight of my 2015 Japan trip! Anytime I travel I always bring a sketchbook. OF COURSE I would bring along paints and paper to Japan! 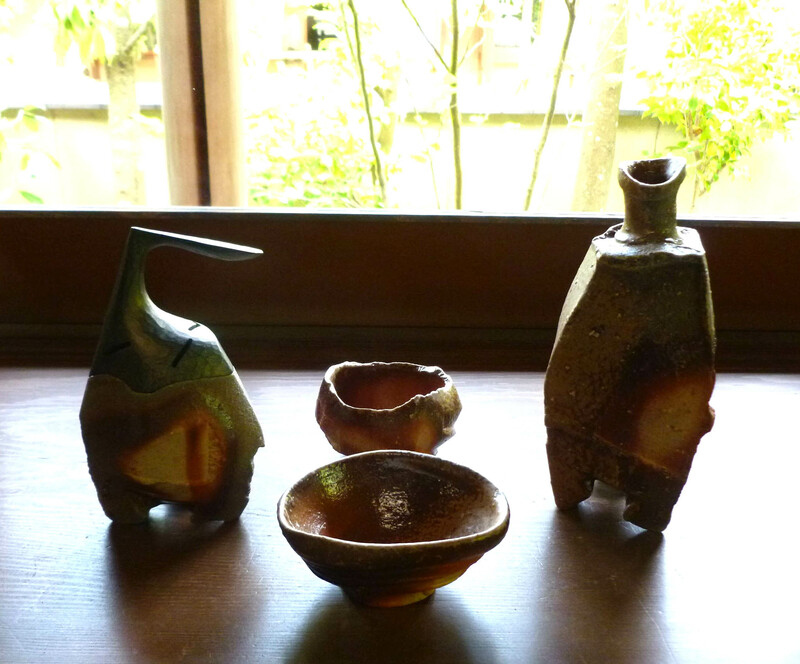 I was really inspired by the collections of the potters I met during the trip. 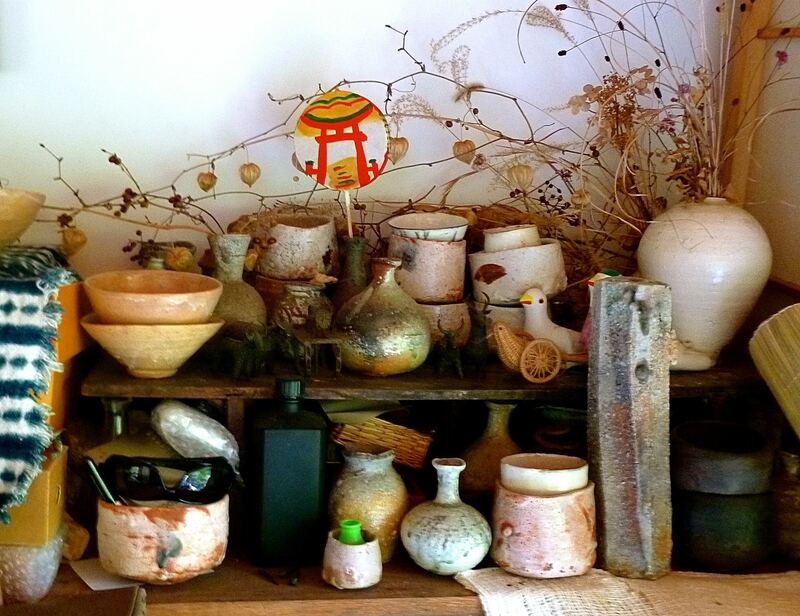 Kokeshi dolls, rusted tools, tricket-y charms, and old toys were just a few of the collections I viewed inside the homes of Japanese artists. I am an avid collector, as well, and will post about that topic soon. 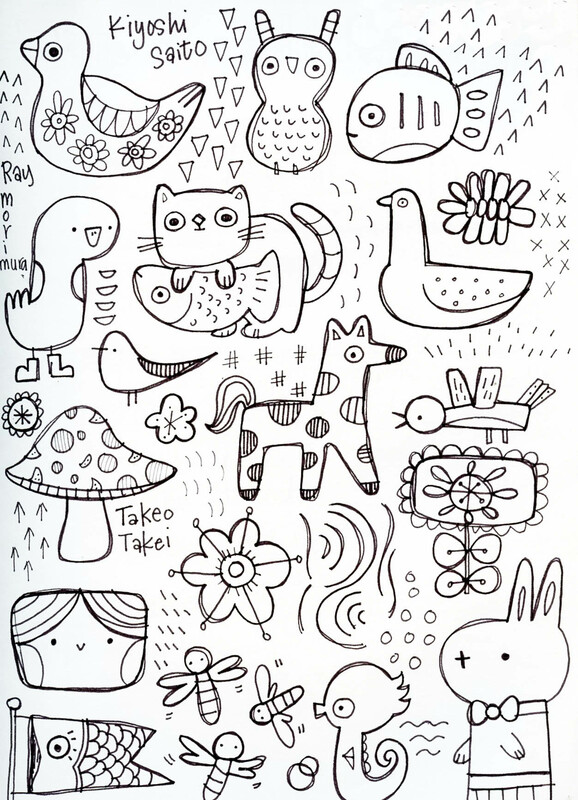 Until then, here are a few of my sketchbook pages that I created while in Japan. 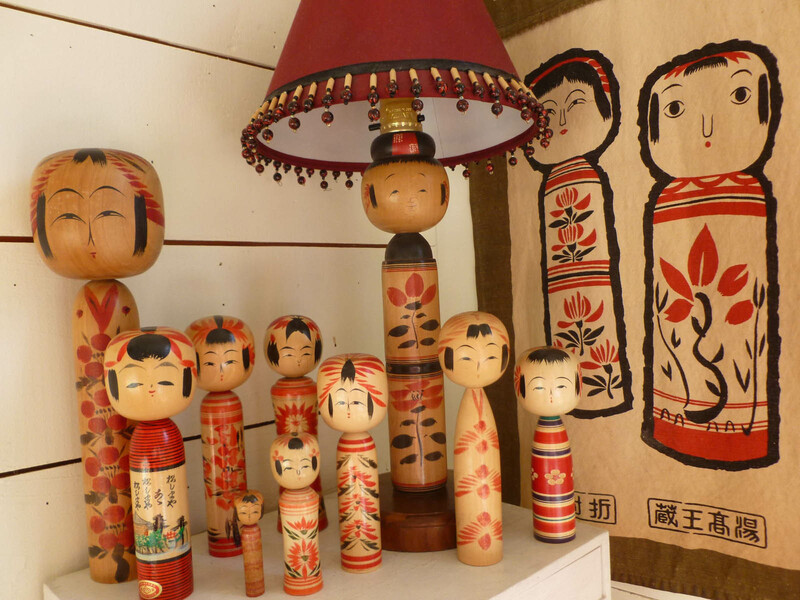 If you know anything about me, you probably know about my love of kokeshis; I have a collection of about 500 wooden dollies. 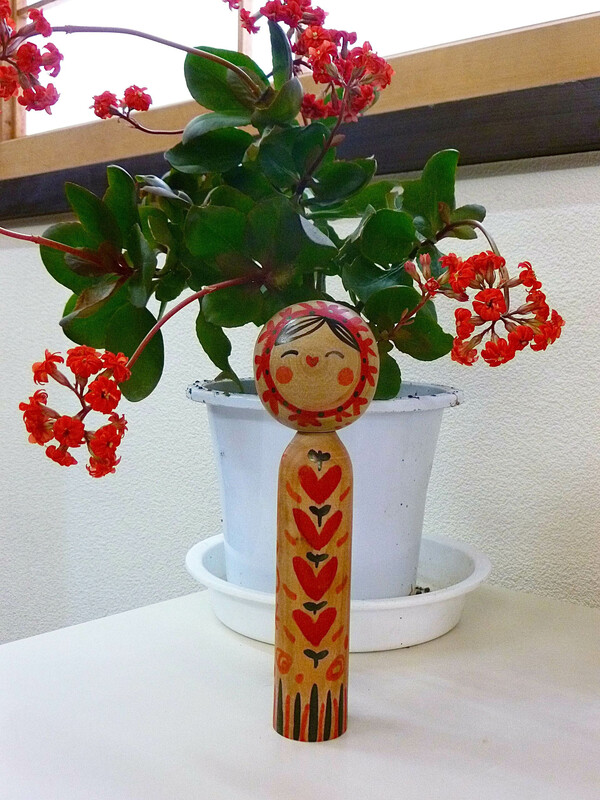 Kokeshi dolls are a Japanese folk tradition and you see them everywhere in Japan. 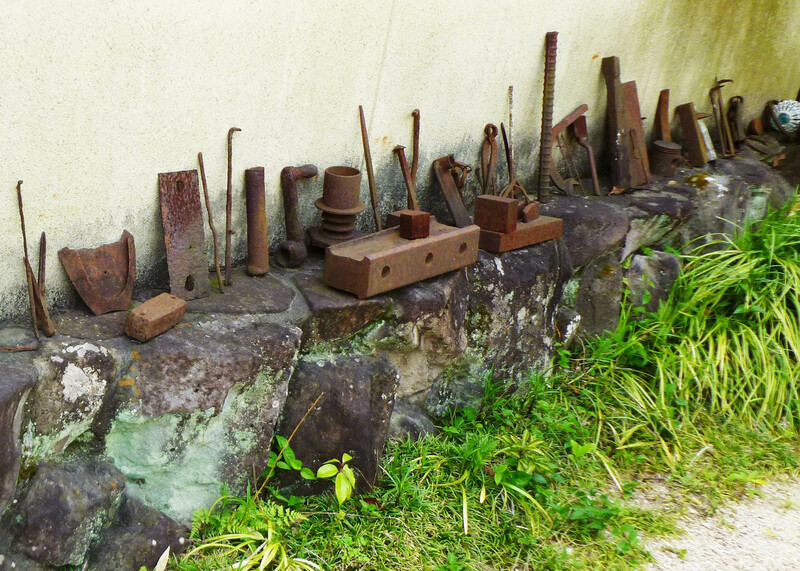 A vast collection of rusted out bits and bobs and tools kept me sketching at a furious pace in an Okayama home/studio. This drawing was inspired by the interior of a Japanese home in Nara. 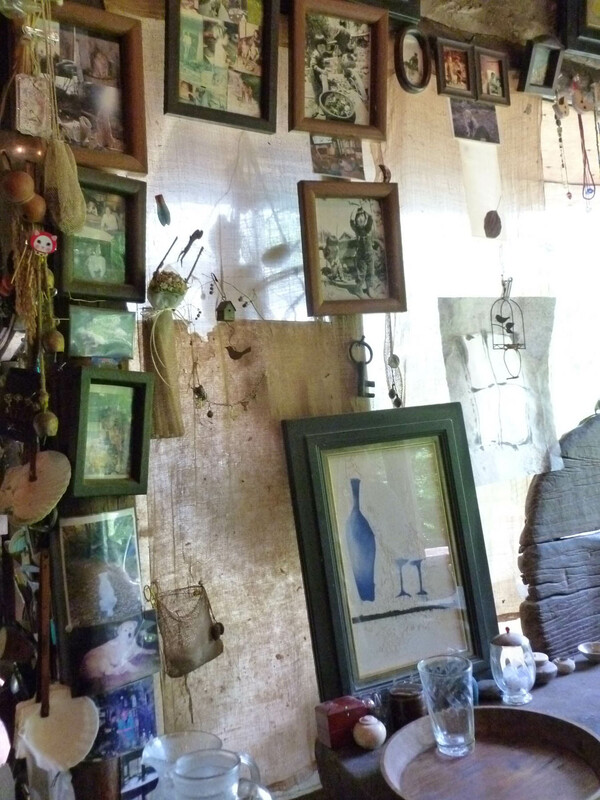 Lots of jewelry and charms hung on the walls and the lighting was something special. Although I’ve been back from from my trip for about two months, my sketchbook of Japan is still a work in progress. Occasionally, an image from my journey will pop into my head and I have to capture it on paper. Stay tuned to view more of inspiration! Where to Begin? Let’s Start at the Beginning! I was in Japan for the month of May 2015. 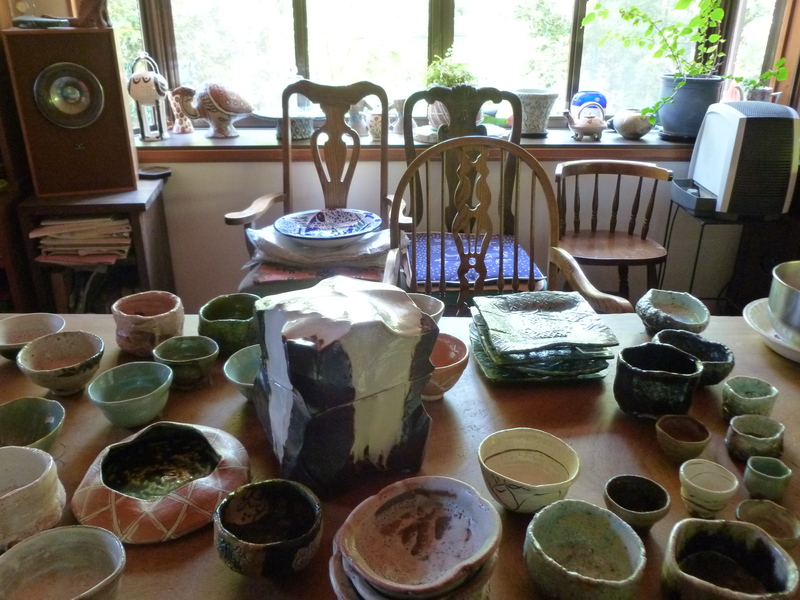 Summer of 2014 my Aunt Esta asked me if I would like to join her on a ceramics trip to Japan. 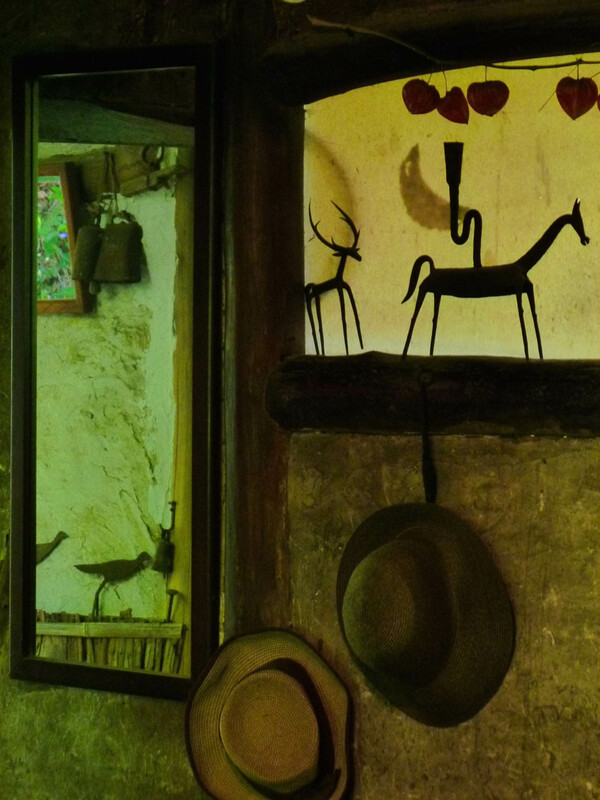 We would be traveling with ten people and our guide would be famed ceramist, Jeff Shapiro. Jeff is an American potter who studied in Japan and, over several decades, has developed very special relationships with artists in Japan. I’m a paper artist and painter. I had not work with clay since I was about 10 years old. Was I interested in clay arts? Maybe not. However, I knew right away that this would be THE trip of a lifetime. 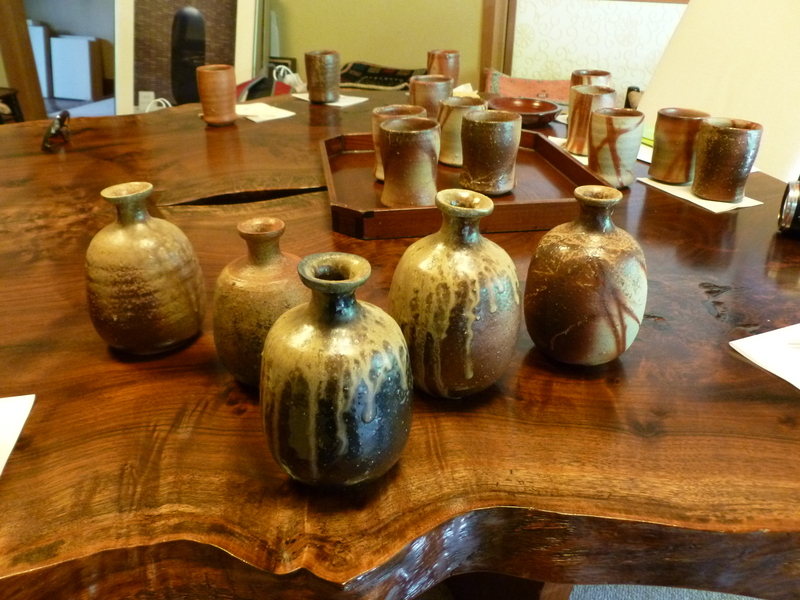 Vessels created by Japan’s Living National Treasure Isezaki Jun. 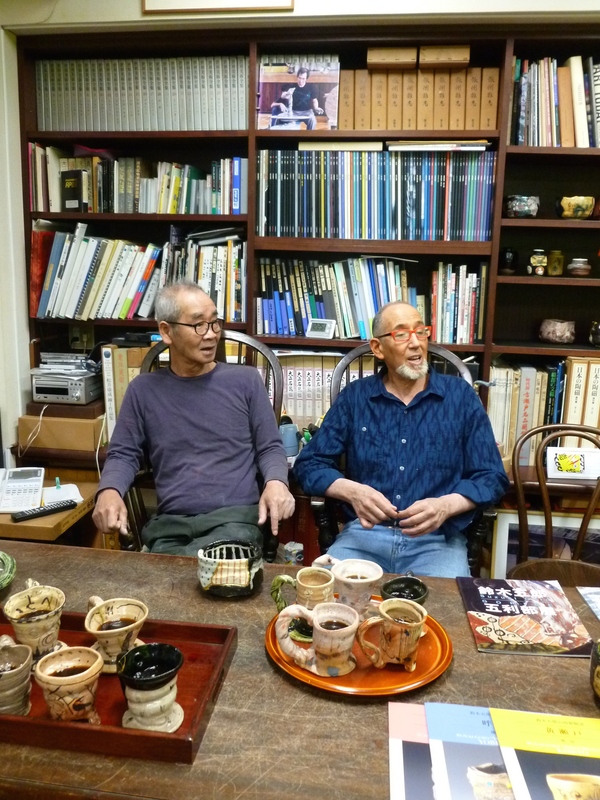 Japan tour guide, Jeff Shapiro, with clay artist Suzuki Goro. 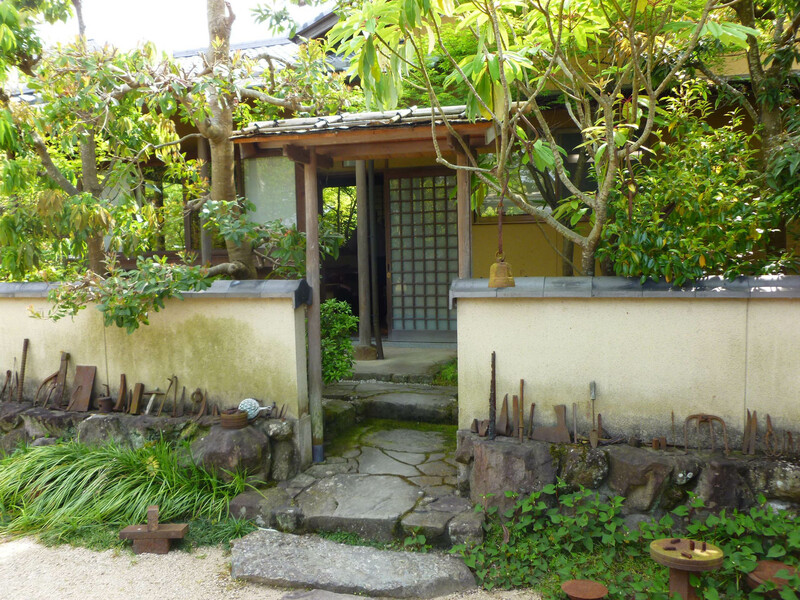 Studio and ceramics of Suzuki Goro. 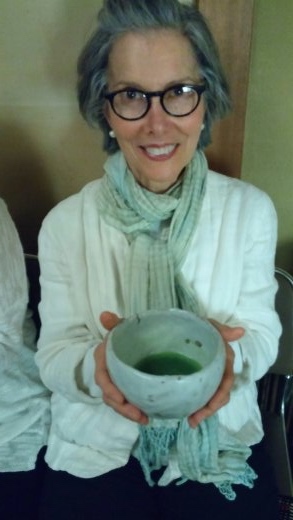 Auntie Esta with her matcha tea to be drunk out of tea bowl made by Japan potter, Shigemasa Higashida. What a Trip! Where Do I Begin? I’ve been back from Japan for over six weeks now. My hope was to blog as I traveled, but every moment was truly filled with such visual excitement that I hardly had time to catch my breath; I needed a vacation from that vacation! In the next several posts I will break down the trip into experiences- food, art, pottery, nature, inspiration, culture, etc. 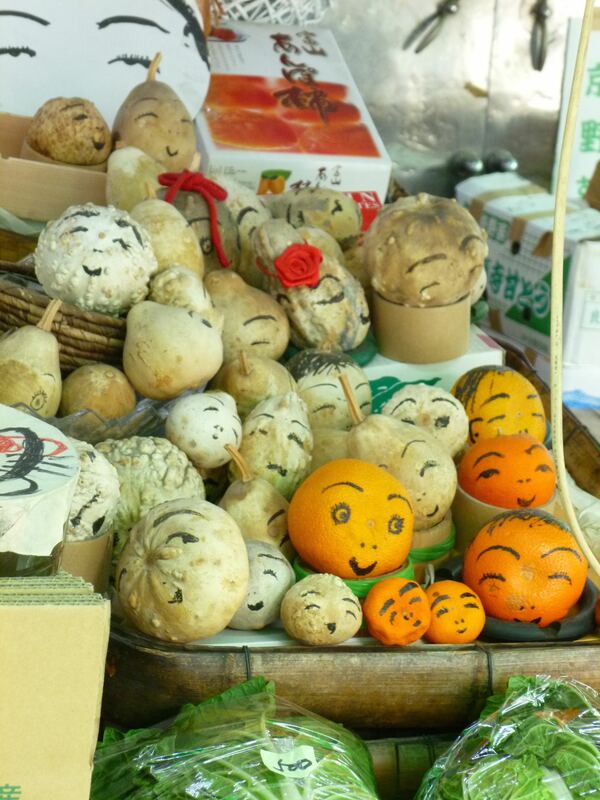 For now, here are a few pictures to give a glimpse into my amazing experience in Japan! I hope you all find it as inspirational as I did. 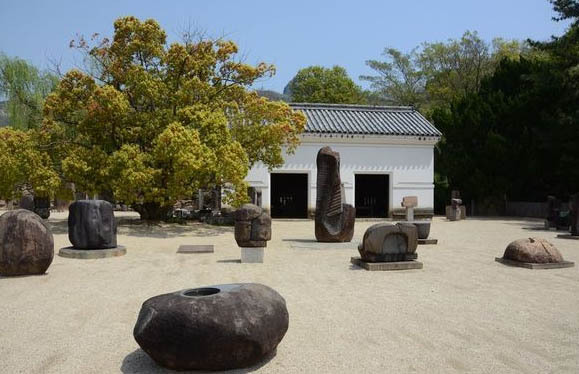 Outside of the Isamu Naguchi Museum in Naoshima. 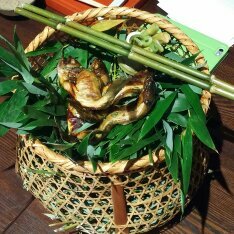 Basket of steamed fish in Tokyo. This is where it all started! 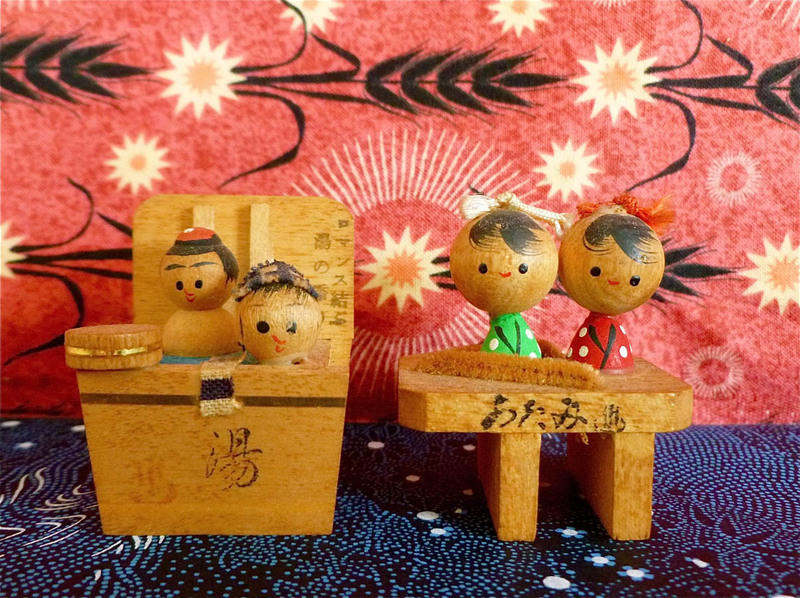 In the mid 70’s my Grandma Betty took a trip to Japan and brought back these two little dollies for me and my sister. Fast forward twenty years and you’d see me unpacking my moving boxes in my new home in Seattle. 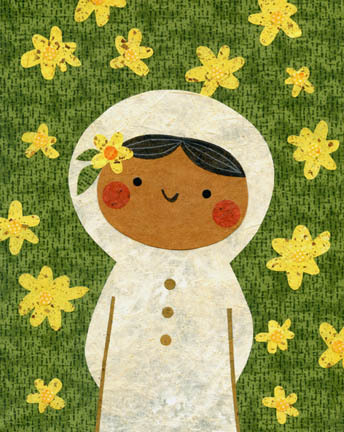 Somehow, these little teeny tiny guys (1″ tall) made it into those boxes. As I perused Seattle’s antique, thrift, and junk shops I noticed (and purchased) more and more of these dolls. 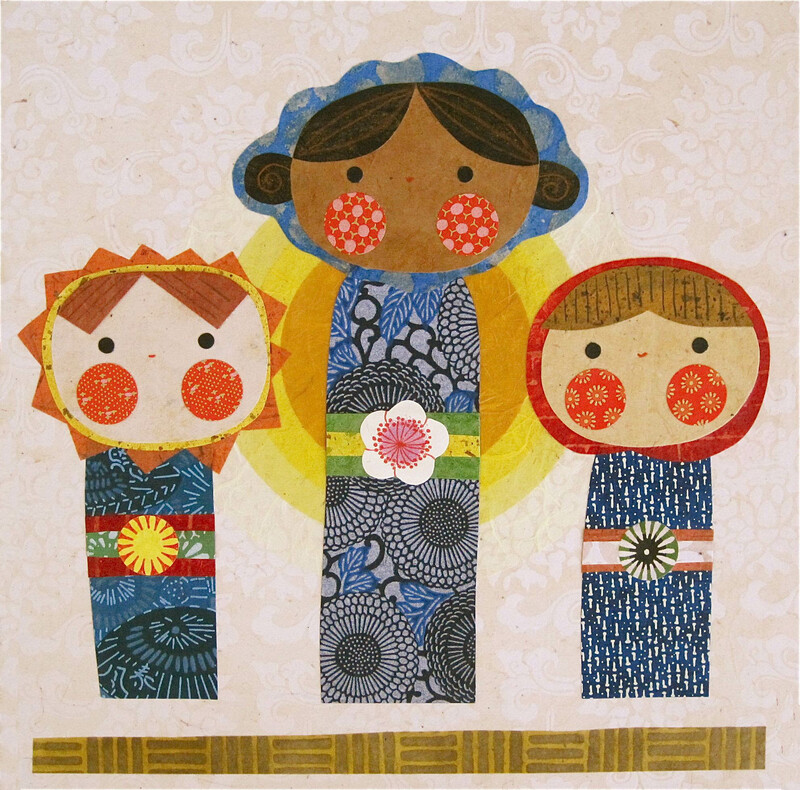 A love of Japanese folk art grew and grew right along with my growing collection of kokeshi dolls. 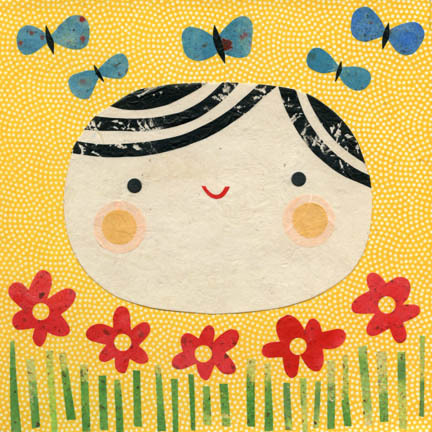 This Spring I will travel to land of kokeshis- JAPAN! This blog will not only showcase the highlights my travels, but it will also chronicle my journey as an artist. Care to join me? I’d love to have you follow along!